The pop-up bike lane will be available from 6 a.m. until 8 p.m. for both morning and evening bike commuters. Staff will begin setting up the lane in the early Friday morning hours. 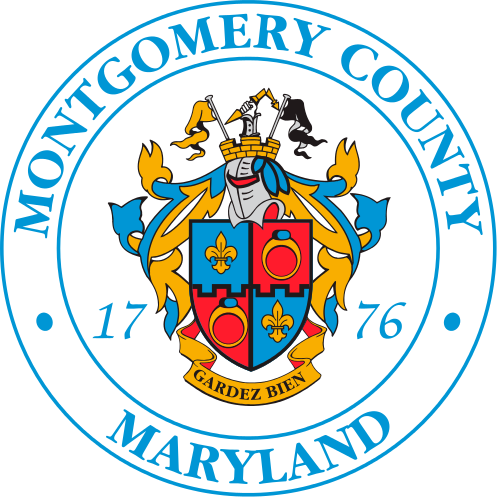 Montgomery County Police will assist with traffic control. Barrels, cones and special bike lane markings will designate the bike lane, and some parking and lane restrictions will be implemented along the route. Motorists are asked to exercise caution when driving through the designated area, particularly at intersections. The advocacy group Bethesda BIKE Now encouraged creation of the pop-up bike lane for Bike to Work Day, a concept that MCDOT has considered pilot testing in several areas of the County. Bike to Work Day is an ideal time to create a pop-up bike lane because the event attracts large numbers of less experienced cyclists who may not be as familiar or comfortable with riding in traffic lanes. In addition, the temporary closure of the Georgetown Branch Trail for Purple Line construction eliminated a low-stress option that many Bike to Work Day participants have used in the past. MCDOT has proposed constructing a permanent protected bike lane on Woodmont Avenue, from the intersection of Woodmont Avenue and Norfolk Avenue to MD 355, south of Bethesda Avenue, as part of a future low stress protected bike lane network called the Bethesda Loop. The Loop will include bicycle infrastructure improvements from Woodmont Avenue to the west, Montgomery Avenue to the south, Pearl Street/Maryland Avenue to the east and Cheltenham Drive/Norfolk Avenue to the north. The County Council will vote on whether to approve the funds for this project later this month. If approved, design could begin in fiscal year 2019. MCDOT sponsors six of the 15 Bike to Work Day pit stops in Montgomery County, including one hosted by Bethesda Transportation Solutions at the intersection of Woodmont and Bethesda avenues. Everyone is encouraged to register for a Bike to Work Day pit stop online. In addition, MCDOT partners with the Washington Area Bicyclist Association to sponsor City Cycling classes at various County locations to help less experienced cyclists feel more comfortable riding in different situations.